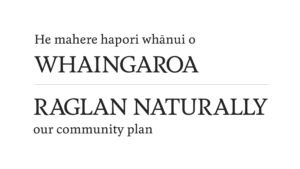 Arts in Whaingaroa is as follows, Performing Arts, Visual Arts, Applied Arts & Cultural Arts. Although not exhaustive list this is a snapshot to be added to. The arts community is diverse and unique with many musicians, dancers, painters, fashion designers, pottery, Whakairo, event organisers, galleries, fim makers, Kapa Haka, Sculpters, photograghers, theatre, drama , writers, moko artists and tattoists. The Arts in Whaingaroa is thriving and adds value to the community through the creative input of the above mentioned. There is significant community engagement and participation in the arts and arts are highly valued in this community. Arts purpose – brings wellbeing, voice, uniqueness, social and cultural development. Through the arts we are able to communicate who we are as people and how ‘place’ influences our unique voice. Combined Arts: creative activities & events that combine or feature 2 or more art forms ie combines music & visual arts or a festival with performances & workshops. Object/Craft Arts: Traditional & contemporary practices, ie ceramics, glass, jewellery, pottery, lace making, embroidery, raranga, taniko, tapa making, textiles, tivaevae, typography, weaving, metalwork & whakairo. Greater Waikato residents hold broadly positive attitudes about the arts. They feel the arts benefit the individual in various ways. They are a source of national pride (71% agree), a chance to learn about different cultures (62%) and a life enhancing experience (37%). New Zealanders (53%), and improve New Zealand society (52%). Recognition of these benefits, help explain why 52% agree the arts should receive public funding vs. 16% who disagree. Film/Photography: Animation, documentary, experimental, feature, short film, & moving image art projects. Literature: Activities that relate to the creation, presentation and/or appreciation of all literary genres, ie poetry readings, poetry slams, local storytelling, writers, creative writing workshops, events. Māori: Creative activities that are regarded as strong expressions of Māori identity ie Arts practice, workshops, Wananga & festivals. Contemporary – fusing traditional heritage artforms with other elements & media to create innovative expressions of Māori cultural identity. Music: Creating music & performing music in all genres, traditional, popular, rock music, instrumental, vocal, choral & orchestral. Theatre: Includes pantomime, staged productions, traditional, puppetry, circus, mask & other theatre forms. Dance: forms of dance with arts & cultural focus including cultural, traditional, and contemporary. Visual: Drawing, painting, installation, kowhaiwhai, photography, print making, sculpture, tā moko and typography. How does this challenge impact on the Arts? How does the Arts impact this challenge? What is the opportunity for us in the Arts in relation to this challenge? Opportunity: commit to real accessibility and broaden arts and creative opportunities for all, empower mentors, teachers, artists to be visible and making work and running programmes. 1. What’s missing in our Snapshot?